Dr. John Nolte came accross this article in Cardiology News, presented by MDedge, and wanted it to share it. 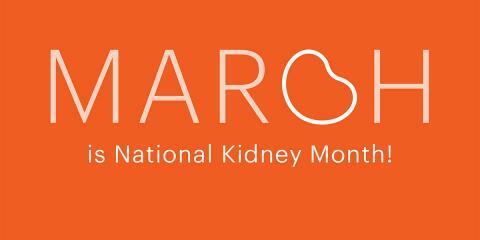 Checkout out our National Kidney Month article on Anchorage County Nearsay! Osteopathic vs. Chiropractic Adjustments: How Do They Differ? Check out our article on Osteopathic vs. Chiropractic Adjustments on Anchorage County NearSay! Many people who want to follow a high-plant diet are concerned about pesticides. The Environmental Protection Agency estimates that 20,000 farmers and their families are poisoned by pesticides each year, but no studies have shown pesticide poisoning from routine consumption of fruits and vegetables. Both conventional and organic fruits and vegetables are grown with pesticides, but organic growers use "natural" pesticides (such as ground-up chrysanthemums), while conventional growers use "artificial" pesticides that are often copies of the pesticides found in nature. Your body cannot distinguish between "natural' and artificial pesticides. * stronger bones characterized by a higher bending strength (American Journal of Clinical Nutrition, Dec 22, 2016, and Eur J Nutr, Aug 24, 2016). Diets that included a lot of sweets, processed meats or alcohol were associated with increased risk for fracture and weaker, more unstable bones, independent of bone density. The Women's Health Initiative showed that an inflammatory diet is associated with increased hip fracture rates in women ages 50 to 63 and an anti-inflammatory diet is associated with less bone density loss in this same group of postmenopausal women (J Bone Miner Res, Dec 26, 2016). Anti-inflammatory foods include fruits, vegetables, whole grains, beans, seeds and nuts, while pro-inflammatory foods include processed meats, sugar-added foods, sugared drinks and fried foods. See Anti-Inflammatory and Pro-Inflammatory Foods Another study showed that risk for osteoporosis of the spine and hip are reduced by eating lots of fruits, vegetables, and cereals and reducing alcohol and red meat (Open Journal of Epidemiology, May 2013;3(2):79-84). What Are the Benefits of Undergoing an Annual Wellness Exam?